One obvious reason why DIY should be avoided in the instance of larger, more technical jobs around the house is that there is serious potential for damage to your property. It is now not uncommon for repairmen to be called out to repair botched DIY attempts by homeowners in which they have used the wrong tools or techniques and actually worsened existing situations in their properties. 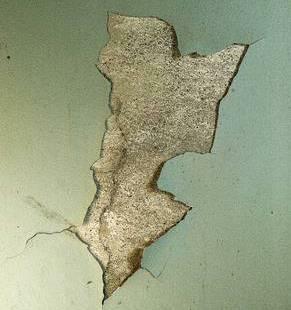 It is estimated that every year, property owners in Britain pay a staggering £4.4 billion to repair the damage done by DIY at their homes; an average of around £166 for each failed DIY attempt. This is a huge amount of money for any homeowner to pay; particularly given that money will have been spent on the initial purchasing of materials for the project before its mishap. Without the relevant know-how when it comes to construction work, tackling a large project in your home without professional help could potentially be dangerous. There is scope for you or whichever family member carries out the work to sustain an injury in the process, whether that be through slipping from a ladder or using power tools incorrectly. As with any building project, home improvements require planning permits before any work can be carried out on the premises. These are not only time-consuming and taxing, but equally having the right knowledge of which the relevant and required permits are for each project is something that only industry experts will really be tuned into; something which is an even bigger selling point for having a professional in to do the work for you. Here at Hitchcock and King, we are proud to be one of the UK’s leading building materials suppliers to customers around the country. We have built our business on the principles of stock availability, quality products at competitive prices, fast delivery and great customer service; things which set us apart from our competitors. To find out more about any of the products on offer with us, or for any other enquiry, simply get in touch with our friendly team today. We’ll be happy to help with any questions you may have, whatever the scale of your project.